With impending rain on the horizon, the order of events was shuffled during intermission. 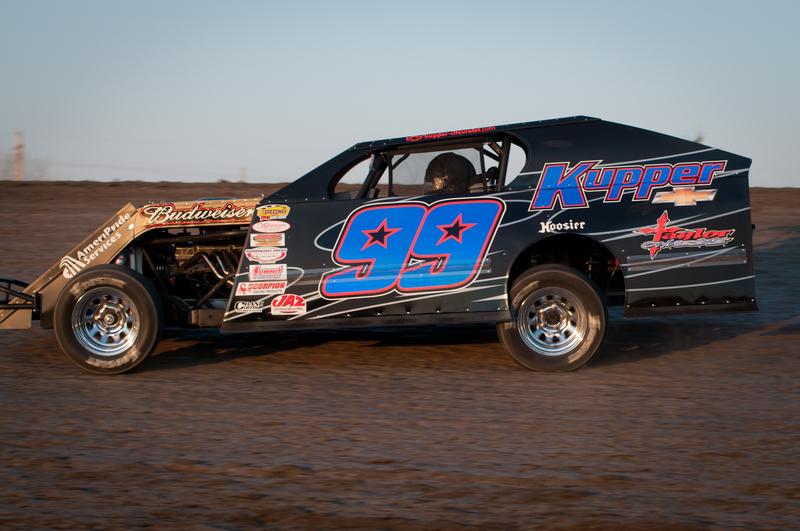 A 12 lap IMCA Modified concy race started off the night with Quentin Kinzley on the pole. 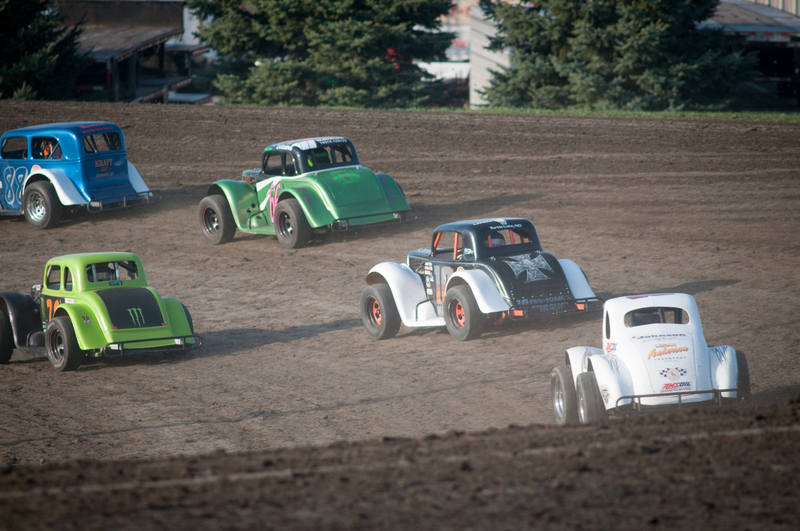 Kinzley led the first lap before getting too high in the corners of three and four, handing the lead to Washburn's Brad Hanson and Shawn Strand. Strand who spun in his heat race, took the lead from Hanson on lap three and pulled away until a lap five caution regrouped the field. 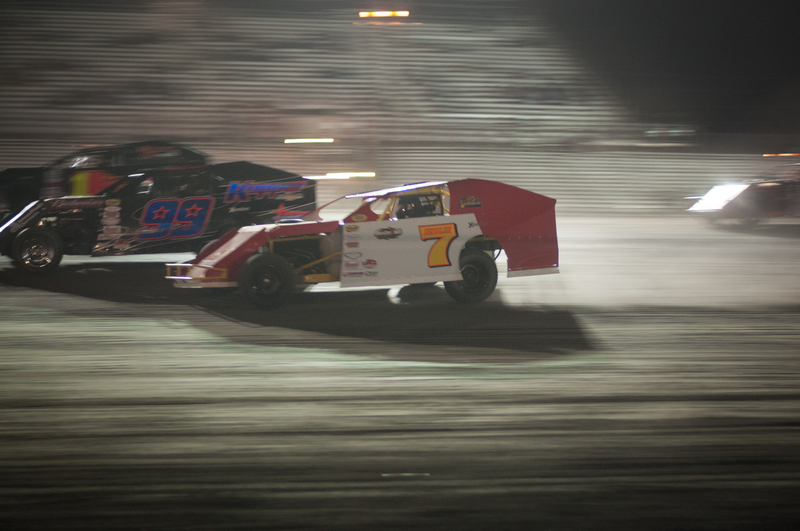 As Strand and Hanson pulled away on the restart, third place Herb Bargmann tried to hold off Tylor Velo. Velo's black car slipped by Bargmann for third with five laps to go. Bargmann slipped into the clutches of fifth place Cole LaMontagne. They raced side by side for the final transfer spot until LaMontagne just narrowly edged Bargmann for fourth at the checkered flag. Tylor Velo finished third behind second place Brad Hanson and concy winner Shawn Strand. 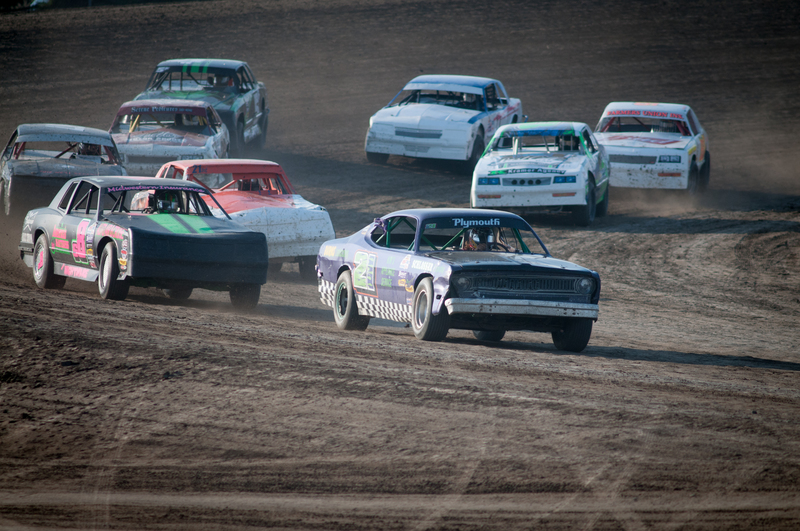 WISSOTA Street Stock driver Kelly Hoerner made a rare appearance in the Hobby Stock feature, filling in for James Weber who had surgery on his wisdom teeth earlier in the week. Hoerner started on the front row along side pole sitter John Gartner Jr., but had problems with his car early, ending his night. Meanwhile, Gartner Jr was defending his lead from second place Aaron Aaseth and third place Scott Gartner. The three drivers shuffled the lead several times, allowing fourth place Dana Welder to catch the lead pack. A caution with six laps to go, bunched the field back up but on the restart, Gartner Jr. pulled away. Chad Hausauer, who was sent to the tail of the field early in the feature for causing a caution rallied back into the top five, picking off Dana Welder for fifth and Scott Gartner for fourth. Hausauer ran out of laps and finished just inches behind second place Aaron Aaseth. John Gartner Jr, running a limited schedule this year, picked up the Hobby Stock feature victory. Kelly Hoerner and Matt Dosch started on the front row of the WISSOTA Street Stock feature. Dosch quickly grabbed the lead as Hoerner's bad luck continued when his car broke, sending him to the pits. 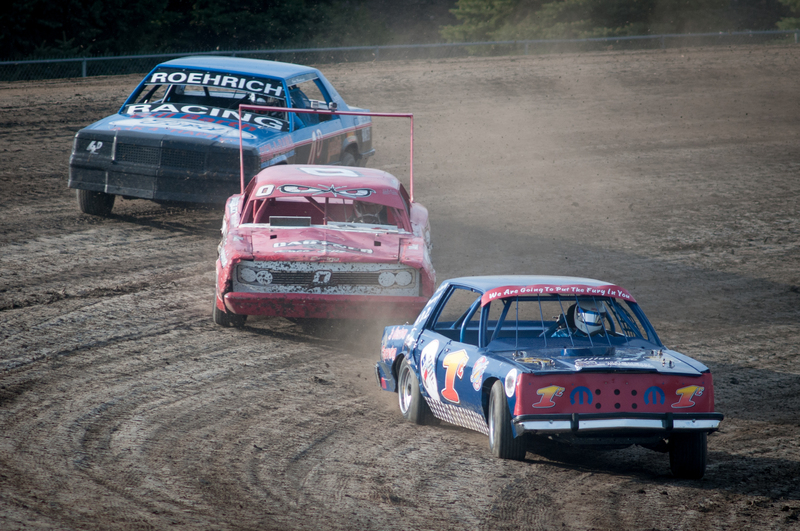 Leader Dosch had his hands full holding off David Falkenstein and Dustin Frank. The three drivers shuffled into the lead, Frank leading lap three and Falkenstein leading lap four before a caution regrouped the field. Falkenstein, Frank and Dosch continued to battle for the lead allowing fourth place Eric Paul catch the leaders. Paul's high line around the 3/8ths mile track allowed him to pick off Dosch for third, Frank for second and challenge for the lead with 10 laps to go. A caution with eight laps remaining, put Falkenstein and Frank on Paul's rear bumper. Paul pulled away on the restart to lead the final eight laps and pick up his first Dacotah Speedway WISSOTA Street Stock win. A charging Brad Kadrmas, who restarted sixth, finished a distant second place. In his season debut, Dustin Frank finished third ahead of David Falkenstein and last week's winner Zach Frederick. Last week, Eleva, Wisconsin’s Troy Girolamo failed to make the feature race but this week, he started on the front row with Brian Swenson in the IMCA Modified race. Girolamo lead early until Dylan Barnhardt chased him down and took the lead on lap seven. A lap nine restart gave fifth place Maryln Seidler the opportunity to sneak into the lead using the low line. Barnhardt got too high in turn two, loosing spots to Jeremy Keller, Mark Dahl and Girolamo. The caution filled feature did not take away from the great racing at the front. Seidler had a strong car on the low line but Keller's high line was slightly faster. The two drivers raced side by side for the final six laps for the lead, until Seidler's car broke loose and spun in turn three, with two laps to go. On the green-white-checkered restart, Keller had to hold off Dahl for the win. The two drivers raced hard, side by side for the win. Coming off turn four and to the checkered flag, Keller got too high in turn four which allowed Dahl to narrowly edge Keller back to the finish line for the feature win. Shawn Strand, who raced his way into the feature finished third ahead of Mike Hanson and Tracy Domagala. Veteran Ivan Sailer started on the pole for the INEX Legends feature. It was a caution filled feature as Sailer defended his lead in a series of quick cautions. The cautions helped last week's winner, Donavin Wiest climb from tenth to second in just a couple of laps. By lap two, Wiest was challenging Sailer for the lead. Wiest and Sailer battled side by side until Sailer got tapped from behind and spun in turn four, bringing out the fourth caution. Officials warned the drivers the next caution would end the race since the drivers were near their feature time limit. Wiest broke away from second place Troy Hoff as Steven Kuntz had to fend off Paul Huettl for third. When the 66 car of Casey Martin spun in turn two, the race ended. Huettl had passed Kuntz for third just shortly before the caution flag waved. Troy Hoff finished second behind Donavin Wiest, who won his second feature of the season. Drew Papke rounded out the top five. 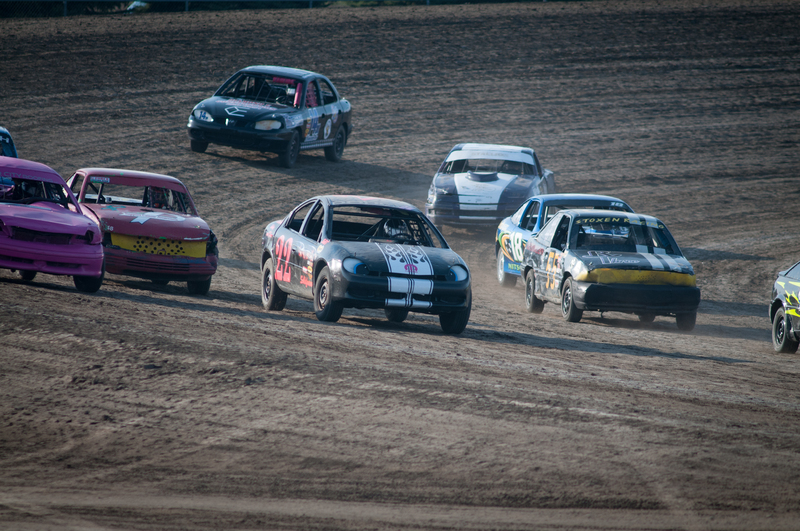 Michelle Stoxen lead the IMCA Sport Compacts to the green flag in the final feature of the night. Last year's track champion, Derek Nitschke, muscled his way into the second position and reeled in leader Stoxen. Nitschke took the lead from Stoxen on lap three and quickly pulled away from the field. Josh Roehrich, last week's winner, quickly caught Stoxen for second but the infamous rain that loomed in the distance much of the night finally started to sprinkle on the track. With only two laps to go, sixth place Nylee DiMeo made contact with seventh place Kayla Koth, sending her car off turn one bringing out the final caution of the night. Due to the rain, the race ended two laps short. Derek Nitschke picked up the feature victory over Stoxen, Roehrich, Nic West and Cody Schultz. 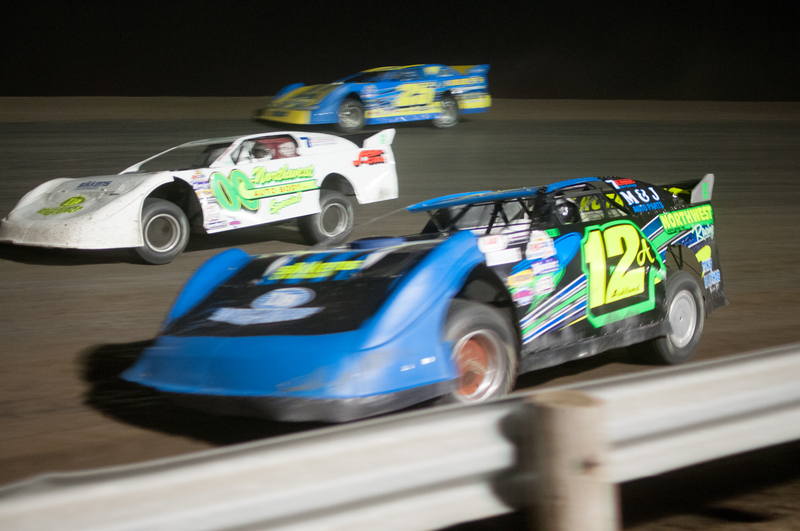 General Equipment brings you Late Model Friday Night on May 24th, 7pm at Dacotah Speedway. Also on the card, IMCA Modifieds, Wissota Street Stocks, Dacotah Speedway Hobby Stocks and IMCA Mach 1 Sport Compacts. Front fan gates open at 6. Driver draw cut off is at 6:15. Pit meeting will take place at 6:30 at the infield scale. 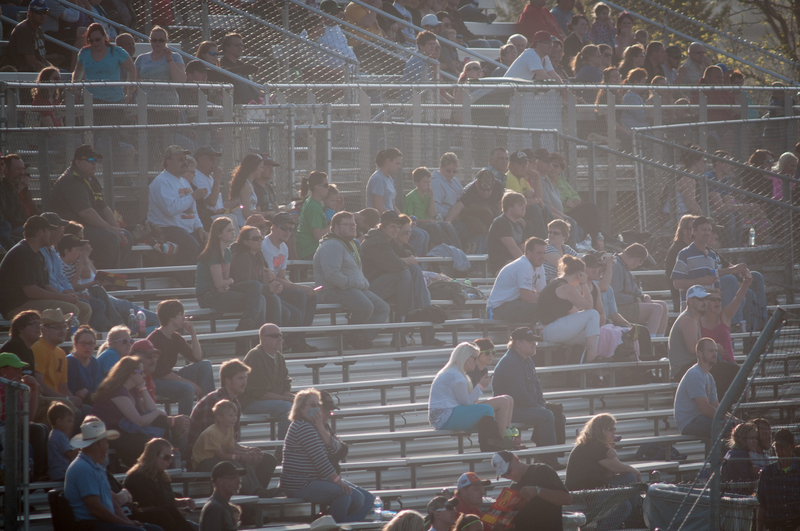 Pit passes are $20, adult grandstand tickets are $16 and kids 12 and under get in for FREE!